Imagine a lake that features what seems to be oversized confetti on its surface. Now imagine that the color of the confetti changes with lake conditions–and that the lake is found in a desert…in Canada. 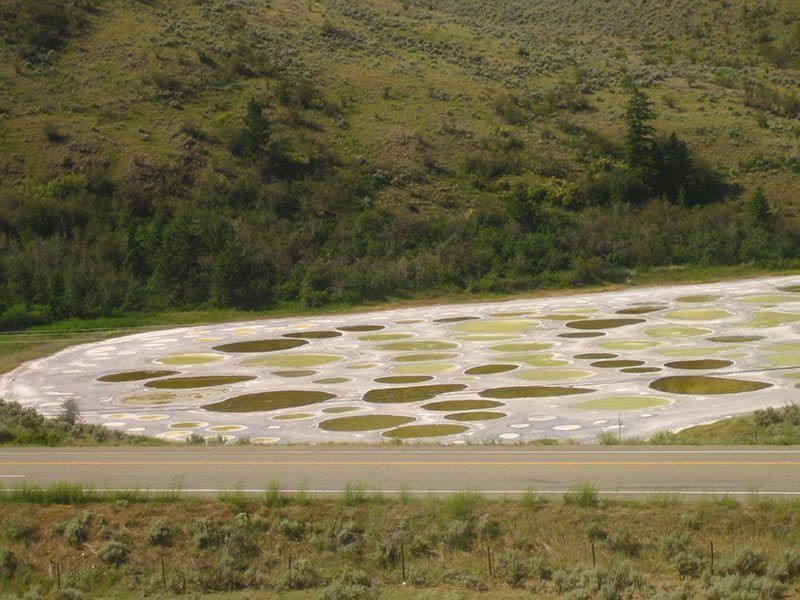 That’s Canada’s Spotted Lake in a nutshell, and it’s one of the most surreal things we’ve seen in a long time. 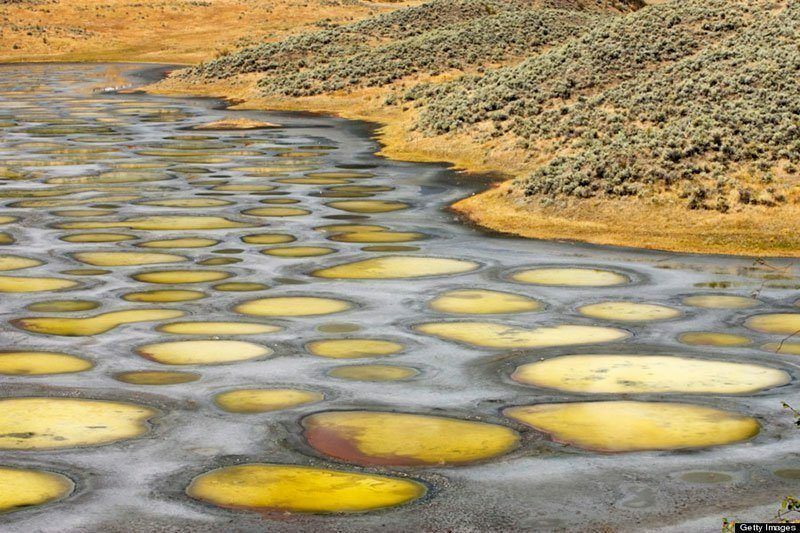 The odd collection of puddle-like bodies of water changes colors based on the presence and concentration of minerals in the water. 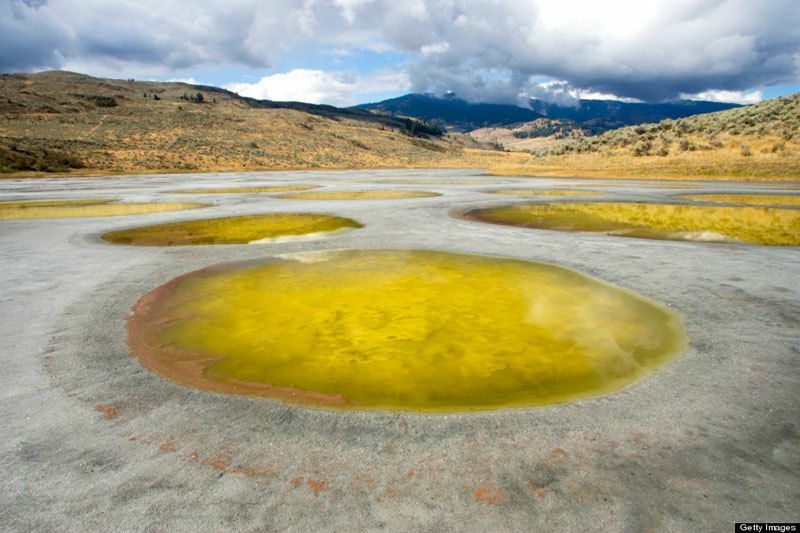 Sometimes the large “puddles” are clear, and at other times they are yellow, green or blue–though rarely as blue as the Potash evaporation ponds. 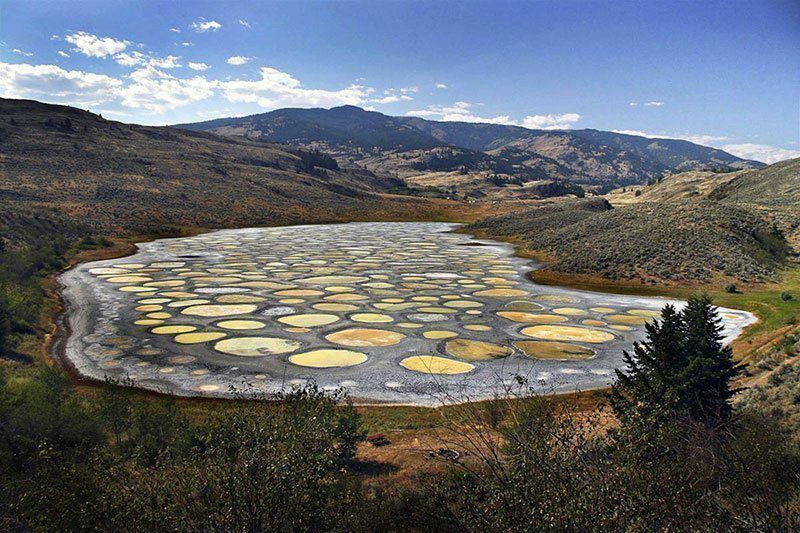 Spotted Lake is located in Canada’s only true desert near the city of Osoyoos, British Columbia. 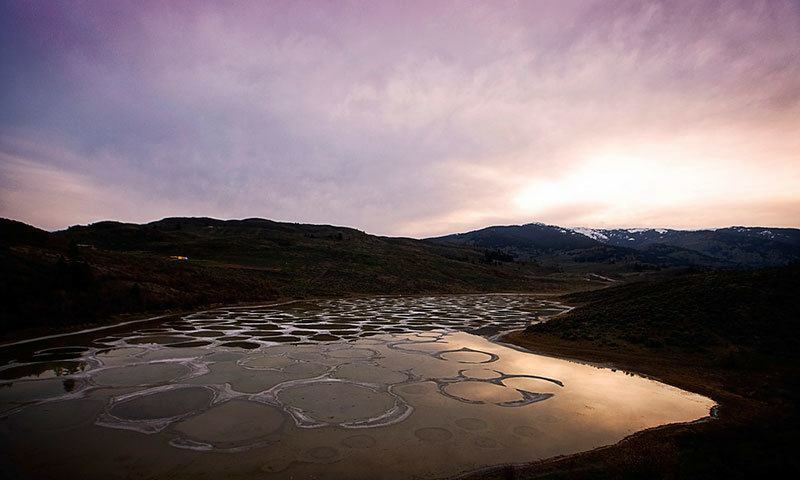 As temperatures rise each summer, the water begins to evaporate. 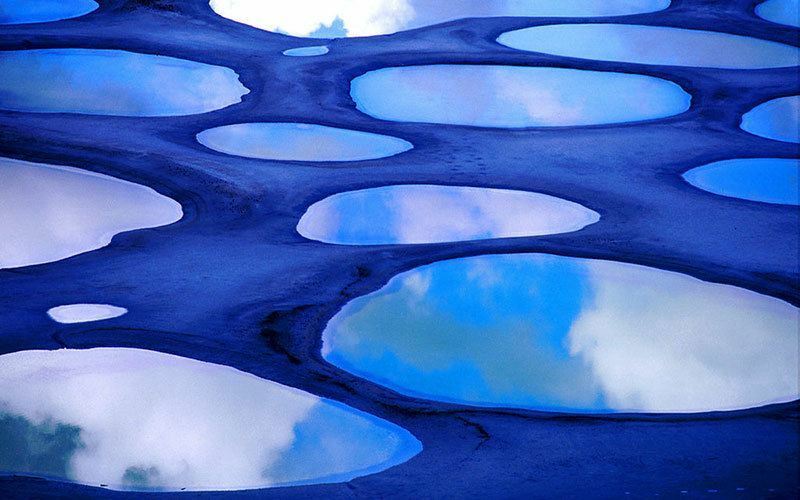 Minerals crystallize into walkways and leave behind large puddles that dot the land. 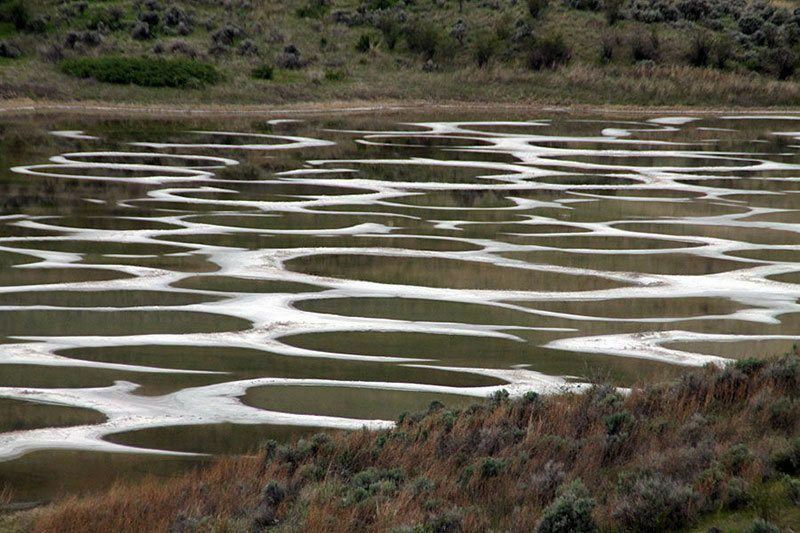 While Spotted Lake contains more than ten minerals, magnesium sulphate, sodium and calcium are most abundant (small doses of titanium and silver are not uncommon). In fact, the lake is one of the most mineral-rich bodies of water in the world.